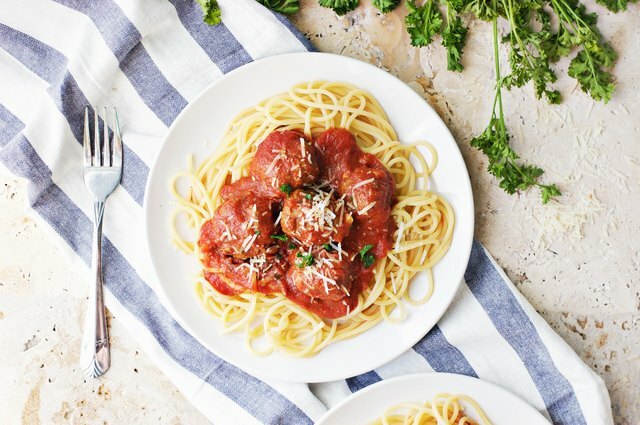 Nothing says comfort food like classic meatballs and spaghetti. And nothing is quite as versatile, either: This is the type of meal you can prepare for a casual dinner party, a romantic night in or an indulgent treat for one. These meatballs are full of flavor, and the sweetness of the accompanying sauce balances their savory taste. Make them from scratch in under an hour and proudly serve a few over a heap of swirled spaghetti noodles and pinches of parmesan cheese and parsley. Ah, perfection. Mix the sourdough bread crumbs with the minced onion, allowing the bread to soak up the juices. 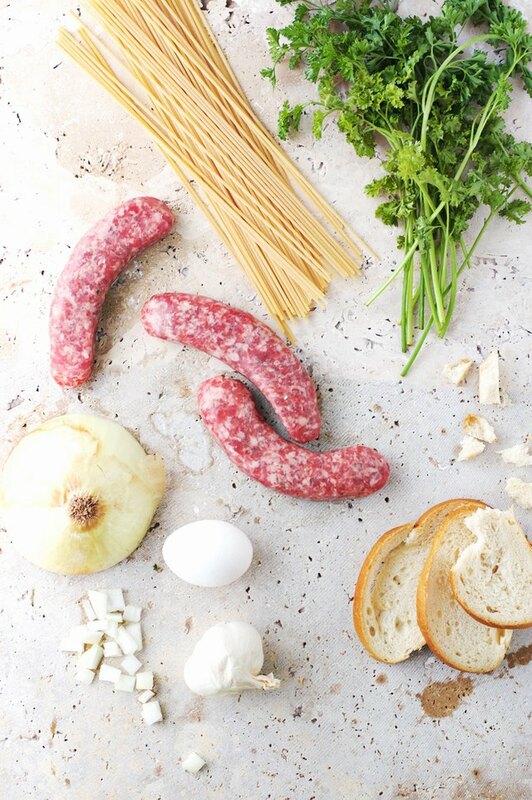 Add in the ground meats, parsley, parmesan cheese, garlic, salt, pepper and egg. Mix with your hands until it's well combined, and then form the mixture into two-inch balls. In a large skillet, brown the meatballs in olive oil. Be sure not to overcrowd the pan. Cook for about five minutes each, rolling the balls so the sides are browned but not entirely cooked. 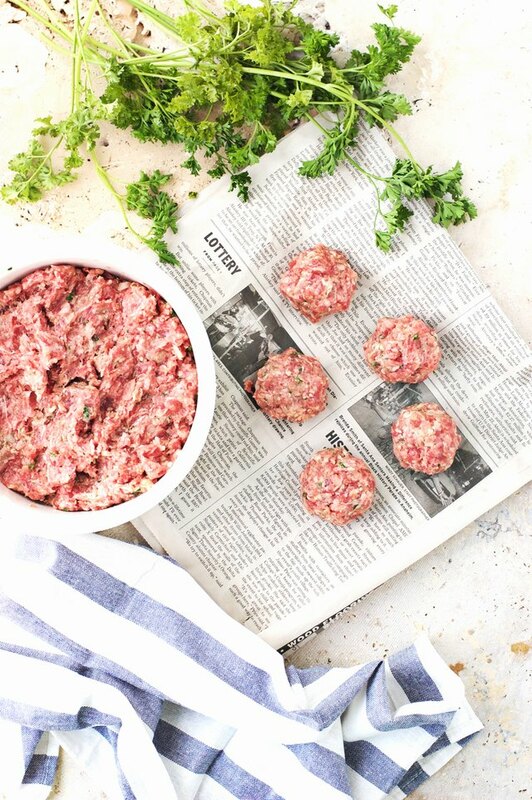 Use a cookie scoop to make the meatballs a consistent round shape and size. Heat new olive oil over medium heat. Add in the onions and cook until they're translucent. Then, add in the garlic and cook for another two minutes. Pour in the red wine vinegar, and let it simmer. After, pour in the tomato puree, parsley, salt and pepper. 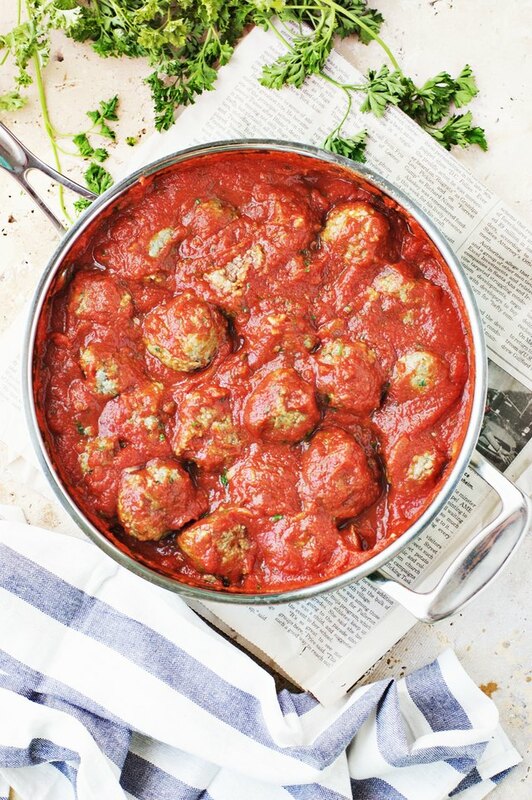 Return the meatballs to the sauce, cover and simmer on low heat for 15 minutes, until the meatballs are internally cooked and tender. Cook spaghetti noodles al dente while the meatballs finish. 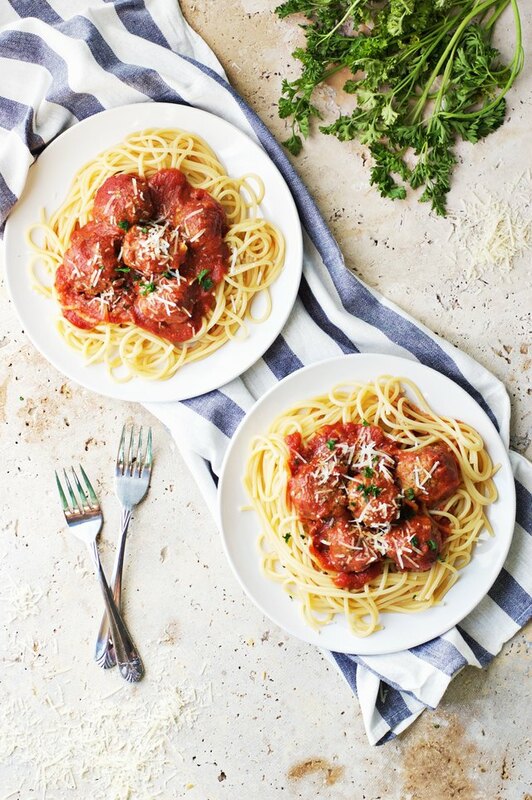 Serve two to three meatballs and sauce over noodles, and top with freshly grated parmesan cheese and parsley. Enjoy! Unlock the secrets of making Swedish meatballs, a cozy, delicious dish that tastes like it took all day to make.